PLEASE READ: This bundle includes PDFs with my Paraphrasing State Research product and my Main Idea, Topic, Details product (see links above). If you purchased any of the listed products, this bundle includes the same files. 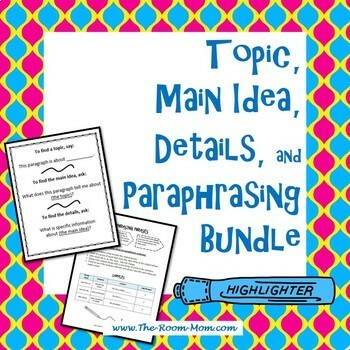 This bundle contains my materials for teaching topic, main idea, and details. 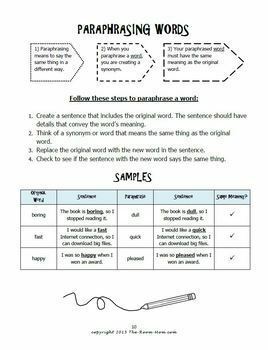 It also includes materials to teach students a strategy for paraphrasing and then use their paraphrasing skills to take notes while researching a state. 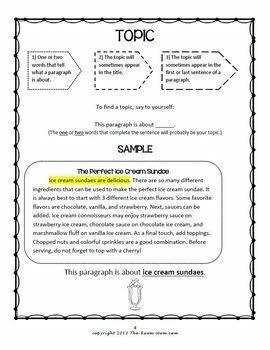 In the bonus materials, I included a blank tri-fold brochure template to allow the teacher or students to choose any research topic in place of the state research project. 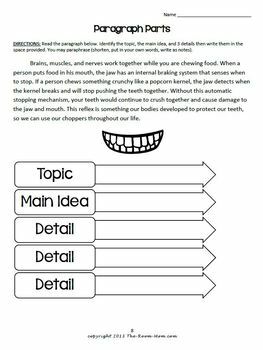 The two reading strategies work well when taught together and really improve students' abilities to read and recall the "meat" of a paragraph. I included my free “Ranking Words” vocabulary activity, which is a great supplement to the paraphrasing strategy.